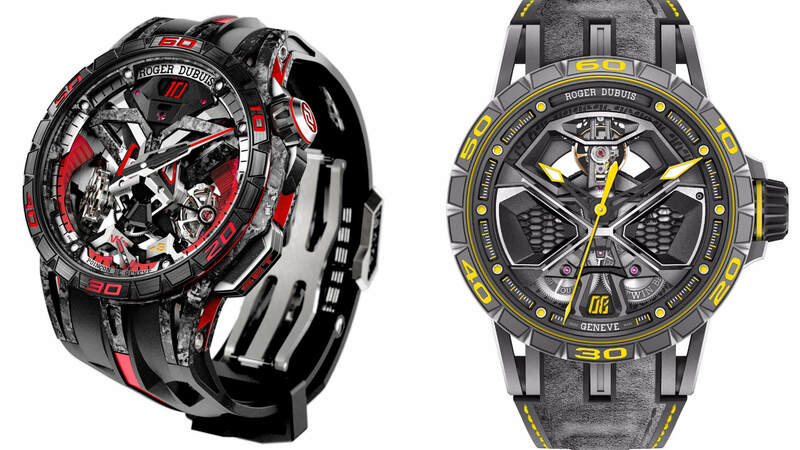 Roger Dubuis’ novelties this year belong to two wildly disparate universes, but they share a common theme of revealing the brand’s penchant for edgy, technical watchmaking that melds form with function – while injecting its signature design codes. For men, the focus this year is a deepening partnership with Lamborghini, especially Lamborghini Squadra Corse, its motor sports division. 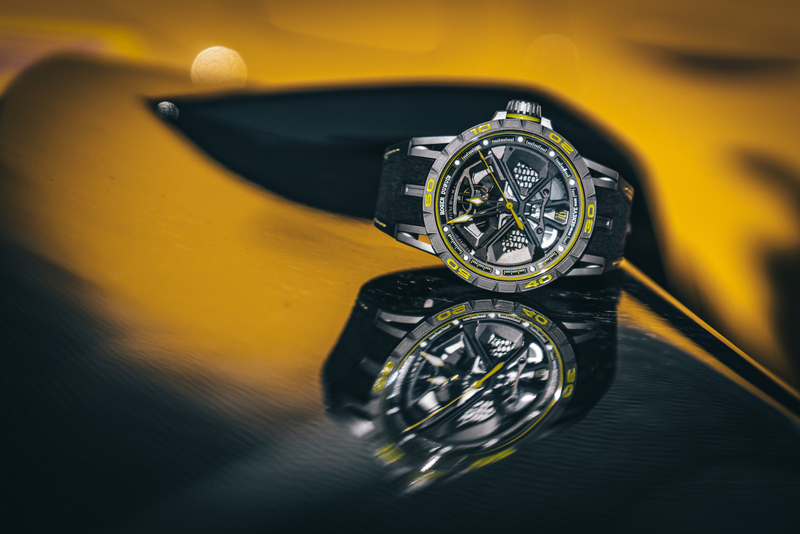 This is seen in the brand’s trio of new timepieces: the one-of-a-kind Excalibur One-off, the 88-piece Excalibur Huracán, and the Excalibur Huracán Performante. These timepieces all bear the familiar skeletonised Excalibur case, but come with various appointments that draw inspiration from the Italian marque. Note the heavy usage of carbon and rubber, as well as the movements’ architectures, which sport different Lamborghini signatures such as the hexagon motif. The balance wheels in these watches have also been inclined variously in a nod to the engine layout in Lamborghini supercars. As for the ladies, Roger Dubuis has unveiled the Excalibur Shooting Star. The timepiece is a continuation of the brand’s Astral Skeleton theme, which has movement bridges open-worked into starshaped motifs as an angular counterpoint to the sensual curves typically seen in skeletonised movements. The Excalibur Shooting Star is relatively diminutive at 36mm across, but has a skeletonised flying tourbillon at seven o’clock – the result of a two-year development to fit this complication into the confi nes of a smaller watch. Enamelling and gem-setting help to complete the scene, with stars at every level of the dial and movement. 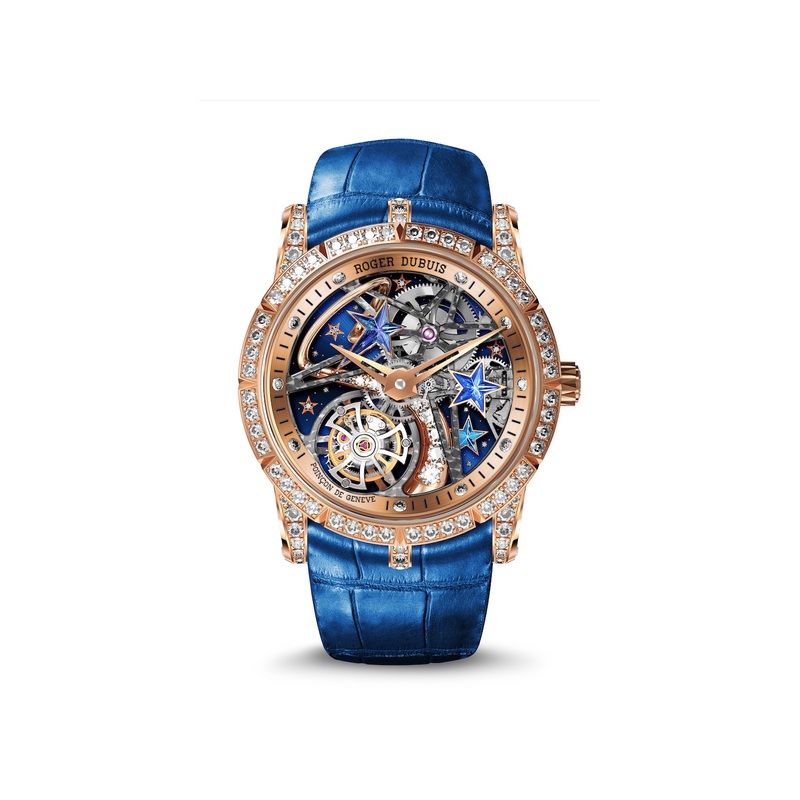 Two references of this watch are available, both in pink gold – one features blue accents, while the other has them in pink. As regional group watch editor of Prestige, Jamie looks into timepieces both vintage and contemporary. 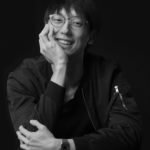 It’s a fascinating subject; each watch is a reflection of the zeitgeist, and melds science, technology, art, and culture like few other objects can. Despite thriving on novelty, this experience junkie has favourites he returns to, like jumping out of planes.